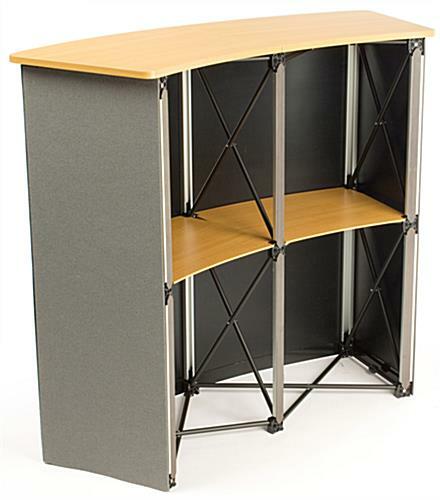 Loop fabric stand accepts accessories with hook fasteners! 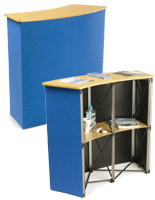 Portable exhibition stand fits right into included backpack for quick, easy transport! Inner shelves are perfect for storing notes, beverages or snacks! 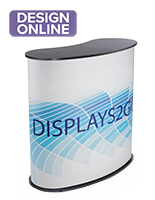 A portable trade show stand is a must-have for any company that regularly presents at tradeshows or conventions. 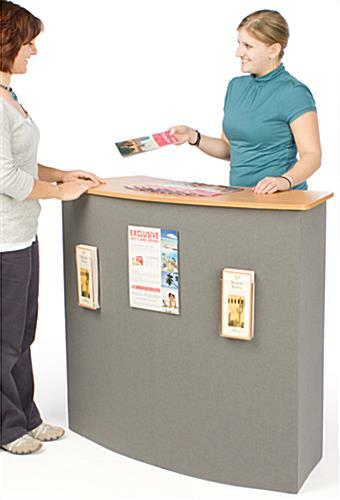 This portable exhibiton stand is even great for traveling salespersons. 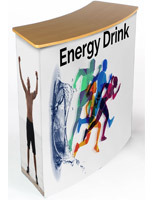 A portable tradeshow stand, also known as a pop up display, offers the benefits of countertop display area, with the convenience of a portable exhibit stand. 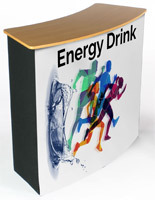 Use a trade show stand to display literature, offer product samples, or even give product demonstrations. 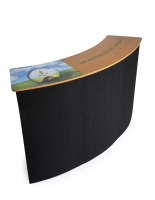 Whether you use this trade show stand as your sole tradeshow display, or as a portion of a larger display setup, you'll find more portable stands are just perfect for all your display needs! 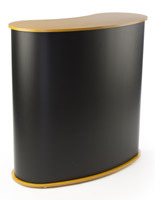 This pop up exhibit, trade show stand weighs only 30 lbs. 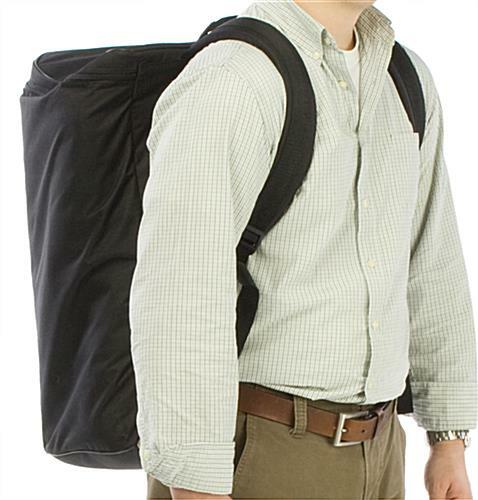 when loaded into its convenient backpack-style carrying case. 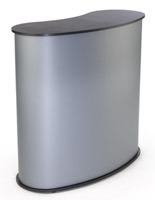 The trade show stand features easy 2-4 minute setup. 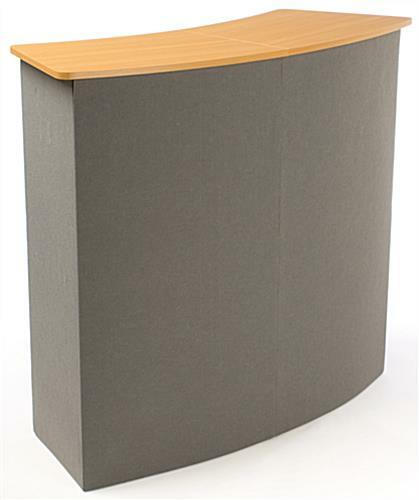 To setup your stand, simply pop open the trade show stand's lightweight, but sturdy, aluminum frame, attach magnetic rods, magnetically affix hook fabric panels to the booths, add inner shelves and top counter area. 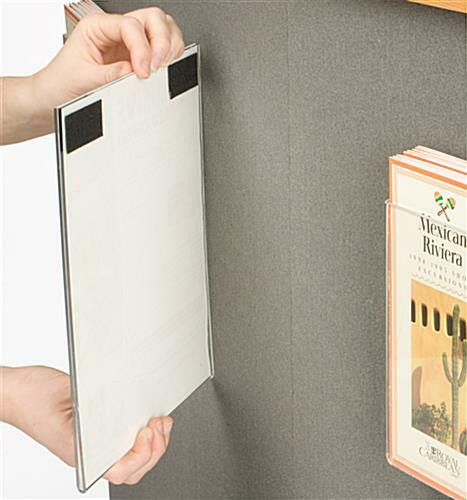 The trade show stand features gray hook-style fabric panels, so literature holder accessories with nylon hooks are easily attached, removed, and reattached as often as necessary. 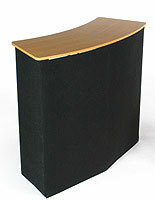 The inner shelves are perfect for storing supplies, product samples, and more.